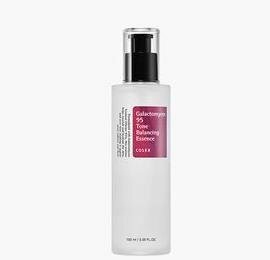 COSRX Galactomyces 95 Tone Balancing Essence is a brightening essence containing galactomyces ferment filtrate to keep tired skin clean and smooth. This Essence is made up of fermented component with a structure similar to skin, achieving dual functions of whitening and anti-wrinkle. It endows the previously dark, dull skin glow and transparent.